To commemorate the love affair Bang & Olufsen has had with its customers over the past 90 years, the company launched a selection of products in a rose golden nuance – The Love Affair Collection. 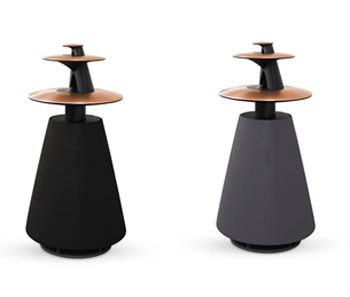 Due to high demand from customers, Bang & Olufsen can announce it will add the BeoLab 5 speaker to this limited collection. The BeoLab 5 speaker is an iconic piece of design and is a favourite with both new and existing customers that wish to appreciate design and technological brilliance. In the new on-trend Rose golden nuance, this speaker will be available with black or Forged Iron fabric colour to compliment the elegant colourway. Customers will also notice the 90th anniversary is celebrated with an exclusive engraving akin to the other products in this collection. Given that the company's aluminium production is with its own in-house factory, it is able to quickly respond to market demands and grant customer wishes. With vocal brand aficionados and a strong customer base, it is no wonder that customers speak out when they desire a certain product, and the company is more than happy to listen and indeed respond. With 90 years under its belt, Bang & Olufsen's core competencies around aluminium craft are second to none, which gives the company the chance to go above and beyond to meet customer requests. Rose gold, which is experiencing a renaissance in the jewellery industry, has an underlying meaning. While white gold represents friendship and yellow gold means fidelity, rose gold represents love and is therefore the ultimate inspiration for this collection. The Love Affair Collection, until now, consisted of the following six products; the majestic and recently launched BeoVision Avant 85, and then the all-in one entertainment solution BeoVision 11-46 and BeoRemote One. Also included in the range is the extremely popular magic-touch BeoPlay A9 music system and the elegant, lightweight BeoPlay H6 headphones. The sixth product in the collection is the classic, slender and straight-lined BeoLab 18 with a new walnut lamella front and a cabinet in a stunningly elegant Rose golden version. With the BeoLab 5 now added to this list, the company is able to showcase its star line-up in an exuberant and elegant tone.